Like Roadbend Jaguar On Facebook! 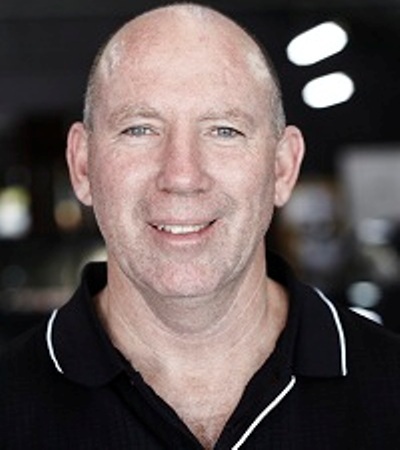 Roadbend Motors is a Perth based, family owned and run business. We have been specialising in Jaguar cars exclusively since 1965. Roadbend is committed to providing professional service and care, which over the years has promoted outstanding customer loyalty and industry respect. You can rest assured that Roadbend deals with absolute integrity and has a genuine interest in your Jaguar needs. So get in contact with Tony Percival and the outstanding team at Roadbend Jaguar, Western Australia’s premium Jaguar specialists! For all service bookings, quotes or advice regarding the maintenace of your Jaguar please contact Tony for knowledgeable and efficient service. Tony has been a longtime player at the Perth Cricket Club and is a member of the Perth Football Club, meaning he has the expertise in supporting local clubs, and we encourage all of our Spartan members to return the favour by dropping by at Roadbend and taking a look around! When you are considering the purchase of a Jaguar, discuss your needs with Graham – you will find his expert advice refreshing. 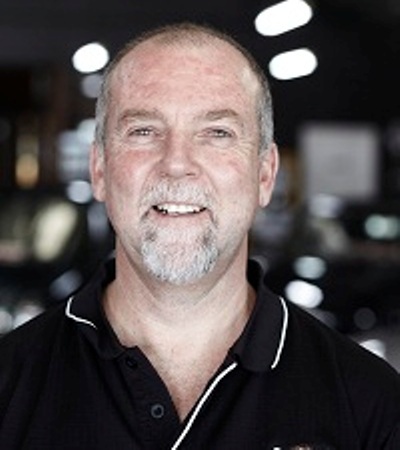 Graham is the Sales Manager at Roadbend Jaguar, and has a wealth of knowledge about all things Jaguar, meaning that he is always more than happy to assist customers when deciding their purchase. They are individually handpicked and sourced, checked over by a Jaguar technician, serviced and prepared both mechanically and cosmetically to the highest standards. Our passion drives us to set unusually high standards for ourselves in preparing these cars. Please contact Graham Percival on 9362 1366 for an in depth understanding of the Jaguar you are interested in or get in touch online for more information about our range of used Jaguars. 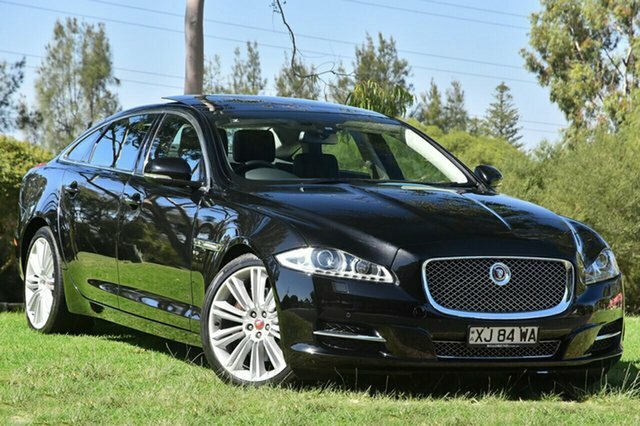 Jaguar XJ 3.0SC Premium Luxury LWB 2014 MY14 – Ultimate Black Metallic with perforated Jet Leather seats, Piano black finish. Loaded with features that include: 20″ alloy wheels, Xenon Headlights, Auto boot, Electric Panoramic Sunroof, Electric rear and side blinds, Electric front & rear seats with Memory, heating and Cooling and Massage, Front and rear dual airconditioning, Touch screen Sat Nav with Blue tooth Streaming and hard disc storage, Premium ICE 1200W Meridian sound system, Voice control, Front & rear parking aid with reverse camera, Keyless entry/start. This Long Wheel base version is a Supercharged 3.0 V6 Petrol with 8 Speed automatic gearbox, Dynamic Sports mode with paddle shift, and much much more. Travelled only 28,000km with full Service history and prepared to the highest standards. Immaculate presentation. We are an Independent Jaguar Land Rover Specialist, family owned and run, established in 1965. We personally inspect and prepare all our stock prior to being offered for sale and we believe they are the best quality available. Please contact us to arrange a viewing and a test drive or to discuss in detail – appointments are preferred. We can arrange transport anywhere in Australia and regularly send cars sight unseen, trading on reputation and accurate descriptions. Call us today to experience the difference for yourself. Jaguar XJ X351 Premium Luxury 3.0DTT LWB 2010 – Vapour Grey with Cashew leather and Burr walnut wood. This is the Long Wheel base with 600nm Diesel Twin Turbo Deisel which supplies impressive, power and performance and outstanding fuel economy. Panoramic roof, Paddle shift gearchange, Touch screen with Sat Nav, Blue tooth connectivity and music streaming, Hard drive memory, Xenon headlights, keyless entry and start, 19″ Alentian rims, Electric rear blind, Heated seats, TV etc. Very low Kms with Full service history. A beautiful combination. We are an Independent Jaguar Land Rover Specialist, family owned and run, established in 1965. We personally inspect and prepare all our stock prior to being offered for sale and we believe they are the best quality available. 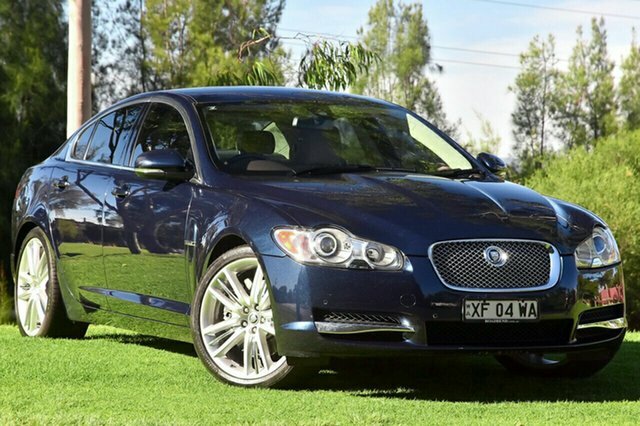 Jaguar XF S 3.0 Diesel Twin Turbo Portfolio 2009 MY10 – Indigo with Barley leather interior. Portfolio edition featuring 20″ Selena Alloys, Satellite Navigation, Reverse Camera with Front & Rear Parking Aid, Zenon headlights, Keyless entry & start, memory seats, Bluetooth connectivity, Premium perforated Leather with heated and cooled seats, Bowers & Wilkins Premium Sound System, voice control, plus many more features. Coupled with the economy and perfomance of Jaguar’s 3.0 Litre 600nm twin turbo Diesel. A stunning sports sedan. Full service history. We are an Independent Jaguar Land Rover Specialist, family owned and run, established in 1965. 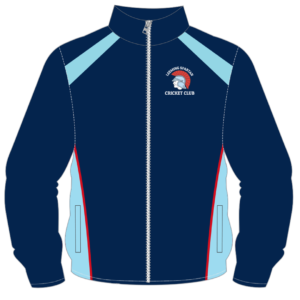 We personally inspect and prepare all our stock prior to being offered for sale and we believe they are the best quality available. Please contact us to arrange a viewing and a test drive or to discuss in detail – appointments are preferred. We can arrange transport anywhere in Australia, so get in contact today to experience the Roadbend difference for yourself! For quality pre-owned Jaguars, servicing and maintenance of current Jaguars through to rare and classic Jaguars not often seen on the roads today, “rely on Roadbend”. 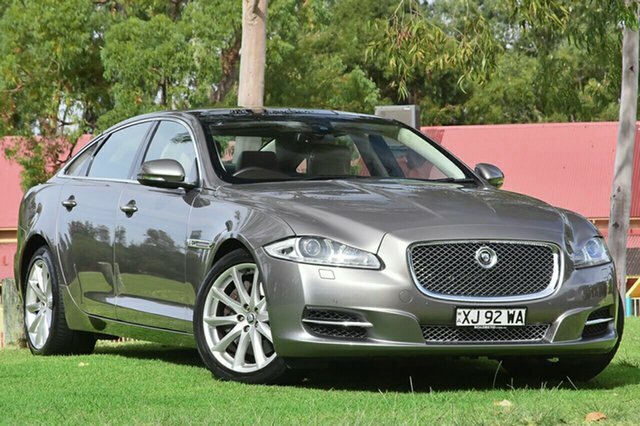 We also have the largest range of Jaguar parts in Western Australia. When you deal with Roadbend Motors, you have the right to expect expert mechanical service, quality pre-owned Jaguars and a choice of parts from the largest range of Jaguar parts in WA. We value our customers and promise you an exceptional level of service each and every time you deal with our company.